Six months ago, a part time job in a shop was the only source of income for Nidhin lal. He was then finding it very hard to meet the both ends of his together. 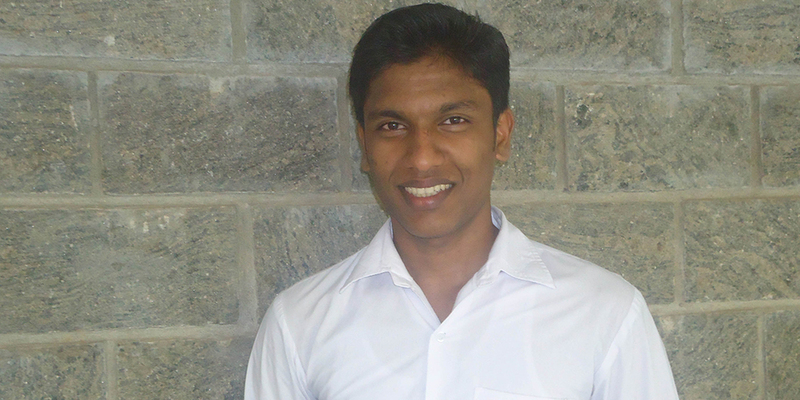 Nidhin Lal joined the BASE training programme at DB Tech, Auva after completing his +2 studies. Hailing from a financial background, his immediate necessity was to get a job that would support his family. His father was bedridden and his mother had to look after their family with her daily wage works. Although he could not continue his studies after +2, he was so genius and active. He grabbed all the opportunities in the centre. All the trainers joyfully witnessed the growth of Nidhinlal within a very short time. The skills that he sincerely nurtured during the course paved the successful way for Nidhin’s career.